Cochin International Airport Limited (CIAL), the first fully solar-powered airport in the world, has won the UN environment award for Entrepreneurial Vision. 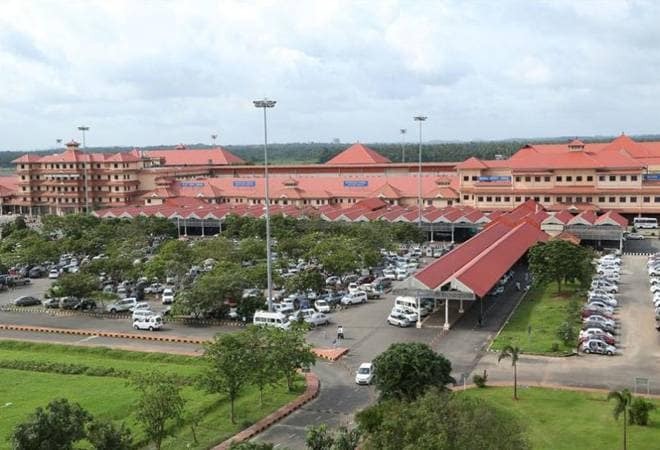 Cochin International Airport Limited (CIAL), the first fully solar-powered airport in the world, has won the UN environment award for Entrepreneurial Vision. The first greenfield airport to be built under public private partnership got the award for using sustainable energy. "Cochin is showing the world that our ever-expanding network of global movement doesn't have to harm the environment. As the pace of society continues to increase, the world's first fully solar-powered airport is proof positive that green business is good business," said a release by United Nations Environment Programme. In 2015, CIAL became the first airport in the world to be completely powered by solar energy. "We started with a 100 kilowatts pilot project in 2012, we found that we could produce 400 kilowatts of power. Then we thought, why not scale it up," V.J. Kurian, managing director of Cochin International Airport Limited said. The land where solar panels are kept is used as a farm for growing organic veggies. "Last year, it produced roughly 60 tons of vegetables," Kurian added. Today, the capacity of CIAL is 29.5 megawatts of solar energy, providing 120,000 units of power every day. "We are 100 per cent reliant on renewable energy in all our daily operations - from powering the conveyor belts to the digital systems. We have experienced absolutely no drop in our efficiency or power supply; we also generate a surplus of energy which we can bank for cloudy days or the monsoon season, when sunshine is less frequent," Kurian said. Kochi airport is the biggest and busiest airport of Kerala, and the fourth busiest airport in India in terms of international traffic. A lot of its international passengers come from the Gulf countries. Around 10 million people passed through Kochi airport last year. Of these, 5.5 million were international passengers. "Since we became the world's first fully solar-powered airport, with the inauguration of a dedicated solar plant, we have placed solar panels on terminal roofs, hangars, over a two-kilometre long canal and car parking area. Currently, we have solar plants in eight locations including the biggest plant which is spread over an area of 45 acres," Kurian added. Amid devastating floods that ravaged the state, the airport in Kochi is estimated to have incurred losses between Rs 200 crore to Rs 250 crore. The Cochin International Airport was non-functional for around 15 days when floods ravaged the periphery walls and flooded the runway. Prime Minister Narendra Modi, who also received the UN environment award in the Policy Leadership category, has set an ambitious target of producing at least 100 gigawatts of power for the national grid from renewable sources by 2022. Andaman & Nicobar, Lakshadweep islands to be turned into world class destinations!